Have you already faltered on your New Year’s resolution to exercise regularly in 2017? Joined a gym, but only worked out two days so far? New workout gear still neatly folded with tags attached? Don’t give up your admirable ambition just yet. Instead, consider a new attitude to refocus your approach toward your exercise goal. Exercise for the sake of weight loss can be a difficult commitment, especially if you aren’t in the habit of working up a sweat. The truth is that while exercise is a great support in losing weight, it’s difficult to lose a significant amount of weight through exercise alone. You may be surprised to see that you burned fewer than 200 calories in what felt like an exhausting, energy-burning 30 minute session on the treadmill. And, if you dramatically increase your exercise time, it can be easy to up your calorie intake as you find your appetite increasing in response. 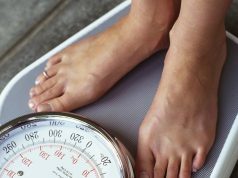 Ethel Frese, DPT, professor of physical therapy who teaches exercise physiology at Saint Louis University, suggests that instead of viewing exercise as a chore on your weight loss “to do list,” consider instead how daily exercise will contribute a long list of health benefits that will improve your quality of life. “Rather than seeing daily exercise as a one-time herculean effort to lose x number of pounds, I like to see exercise as a daily contribution to your health that offers increasing, cumulative benefits to your quality of life,” Frese said. “It’s a great thing you can do for your day. You give yourself a mood boost, an energy boost, more oxygen flowing to the brain, your mind works better, you have a sense of accomplishment you can bring to the next thing you attempt and you have better strength and stamina. “And, in the longer term, you take control of your risk factors for so many illnesses. While genetics plays a big role in our health, we can tip the scale in our favor with exercise. The researched benefits of exercise are too numerous to list here, so we’ve gathered a few highlights to spark your motivation. Check with your healthcare provider before beginning a challenging new exercise program or if you have specific health issues, like heart disease or knee pain, to make sure that your plans are on track. 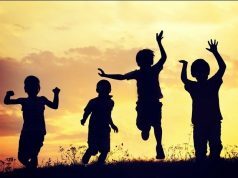 Joy of Life: One of the most striking benefits of exercise is something researchers call “joy of life.” Studies find that people who exercise typically have a more positive view of life and feel better about themselves and life in general, Frese says. Stress Relief: “Exercise is wonderful for managing stress,” Frese says. Exercise reduces stress hormones and boosts “feel good” neurotransmitter endorphins. Sleep: Exercise can lead to better sleep. Cognition: Studies show that exercise supports your brain, leading to improved memory and thinking. Dementia: Research suggests that exercise may help reduce dementia symptoms, including those from Alzheimer’s disease. Preventing Falls: Strength and balance training can decrease the likelihood of falls for older adults. As we age, we lose fast twitch high tension muscle fibers, making it more likely that we will fall. Exercise can rebuild these fibers. Staying Independent: Falls and frailty can lead to the end of independent living for older adults, who may need to transition to a skilled nursing facility. 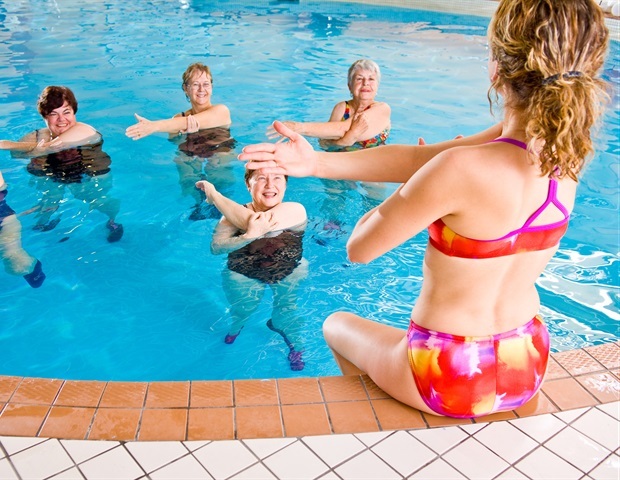 Exercise can help older adults maintain their independence longer. Heart: Exercise decreases the risk for heart disease, which is still the number one killer in the U.S. And, if you have already had bypass surgery, exercise decreases your risk of having another event. Bones: Weight-bearing exercise, like walking, weight lifting or jumping rope, is great for our bones, preventing the bone loss that leads to osteoporosis. Muscles: Strength training is key to maintaining muscle mass, especially as we age. Blood Pressure: Aerobic exercise helps lower blood pressure. Hypertension is one of many health issues that we have some control over and exercise is one way to manage high blood pressure. Blood Sugar: Both aerobic and weight-bearing exercise are great for glucose control, insulin sensitivity and reducing risk of type 2 diabetes, a disease that is now regularly appearing in children as well as adults. Cancer: Certain cancers, including colon and breast cancer respond to exercise; you are far less likely to get these cancers if you exercise on a regular basis. Arthritis: Our joints are made to move. Exercise can help with arthritis, though it’s important to choose an exercise that doesn’t cause pain or lead to flares in joint inflammation. Elliptical machines and aquatics classes are good options to consider with your doctor. Pain: Certain types of chronic pain can be helped through exercise. Pain from fibromyalgia, cancer treatments and fatigue can benefit from exercise. Exercise and increased strength also can prevent and delay the need for surgery for pain. A physical therapy evaluation can be helpful to understand where pain is located, what brings it on and how strength training can help. Weight Loss: Finally, exercise really does support weight loss. The more muscle mass you have, the more metabolically active your body will be. This means you will burn more calories all the time, even when you are at rest. A final piece of advice from Frese: If you’re ready to re-commit to daily exercise, be sure to find activities that are right for you. Exercise doesn’t have to mean time at the gym. Find something that is appropriate for your current fitness level and is something that you enjoy and will look forward to each day.